(?) Ferguson married Frances A. Houghton, daughter of Charles K. Houghton and Laura (?). Viola Ferguson married William E. Newton. Clark Burwell Houghton married Mary Stowe in Mar 23, 1878 at Perry, Wyoming Co., NY, USA, mar 22 years in 1900 census. Mary Stowe married Clark Burwell Houghton, son of Harlow Houghton and Olive Sleeper, in Mar 23, 1878 at Perry, Wyoming Co., NY, USA, mar 22 years in 1900 census. Ray L. Houghton married Grace Nice in Jun 25, 1901 mar 9 y in 1910 census. Ray L. Houghton married Pearl Balcom in Dec 11, 1948. David Houghton married Mary Harderburgh in circa 1878 mar "4" years in 1900 census; age 32 in 1910 census. Mary Harderburgh married David Houghton, son of Smith Houghton and Catherine Witherwax, in circa 1878 mar "4" years in 1900 census; age 32 in 1910 census. Smith Houghton married Grace D. (?) in circa 1909 mar 1 year in 1910 census. Smith Houghton married Virginia T. (?) age 31 and 18 at first mar. Graty (?) married Edward Houghton, son of George Houghton and Elizabeth (?). Wilma? (?) married Edward Houghton. Eli Houghton married Nancy E. (?) in circa 1870 mar 40 y in 1910 census. Nancy E. (?) married Eli Houghton, son of Smith Houghton and Catherine Witherwax, in circa 1870 mar 40 y in 1910 census. Rutherford B. Houghton married Louella (?) in circa 1900 mar 10 y in 1910 census. Morris Theron Houghton married Effie (?) in circa 1907 age 29 and 24. Gertrude Houghton married Fred Rundell in circa 1889. Fannie E. Houghton married Elton J. Ottaway in Dec 31, 1898 at South Ripley, Chautauqua Co., NY, USA. 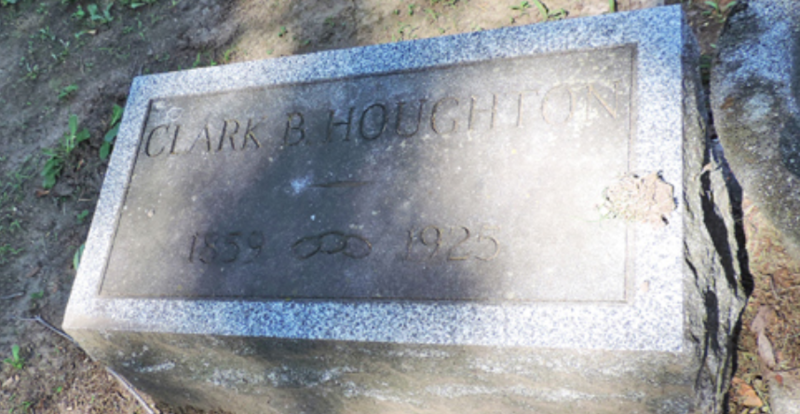 Henry R. Houghton married Mary J. (?) in circa 1880 mar 20 years in 1900 census.